We are very excited about this planned pregnancy. 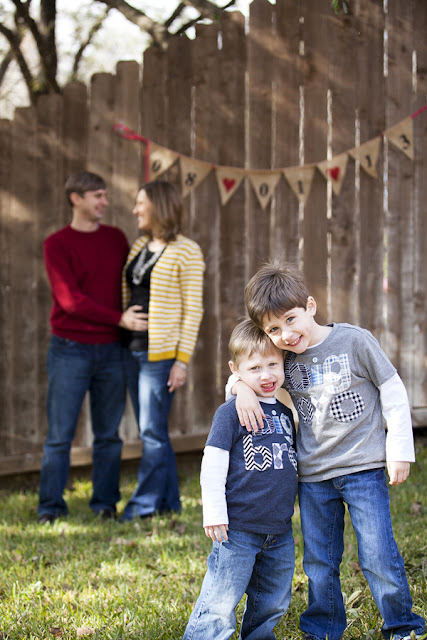 For the past three years, we have consistently sought counsel and prayed about the decision to go forward with having a third child, a child we had planned to have even before we knew Cystic Fibrosis would be a part of our life. Risk is of course part of every pregnancy and since Brian and I are carriers for the CF gene our risk is even more acute. We have sought to minimize risk of complications by seeking the advice of doctors and by having Breck be carefully monitored throughout the pregnancy to prevent what happened at Bennett's birth from happening again. Yet life cannot be lived without risk. And so we also recognize that, regardless of the precautions we take or plans we make, God is the giver and sustainer of life. We recognize that we do not control this process. We recognize that we are part of God's story in the world, and not that He is merely part of our private story. Choosing to have another child in any situation is to trust God. But for us it is also a choice to hope, a confession that we do not believe CF will have the last word on our family or our future. 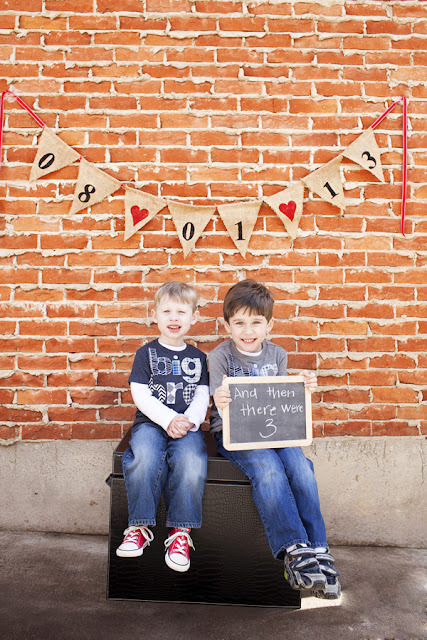 We are thrilled about the opportunity to give our boys a sibling, most likely our last child. We appreciate all the love from friends and family as we enjoy and embrace the journey of welcoming from God a new little life into our home. Breck - I am so happy for you guys! There were quite a few people who thought we were being irresponsible/crazy/selfish (of all things - having a child and being called selfish??) when we decided to have another baby after Ava was diagnosed with CF. We feel that God has given all of us challenges in life so we can grow, and just because someone might have something like CF to deal with it shouldn't mean that they don't deserve a chance at life. Sorry for the novel, my heart just breaks for families who want more kids, but because of the diagnosis, they are too scared to have more and they miss out on the blessings that children bring. Congratulations! I am so happy for you! The video was adorable. Hope you have a nice relaxing pregnancy and I can't wait for the baby to be here already...haha. Gratulerer! These news are great and to me almost too funny to read as we just three weeks ago started to try for an other baby too! I will remain anonymous in public for now, but I think you will know who we are anyways :p Congratulations again, I hope everything will go as planned. Any baby is a blessing CF or not being a part of the gift. <3 Loved <3 the video! Awesome news, Breck! I'll be praying for a smooth & healthy pregnancy. What a special time for your whole family!